Indirect communication is the overall concept we use to cover what we have variously described as two-level communication, the naturalistic approach, and the utilization approach. The common denominator of all these approaches is that hypnotherapy involves something more than simple talk on a single, objective level. The readily apparent, overt content of a message is like the tip of an iceberg. 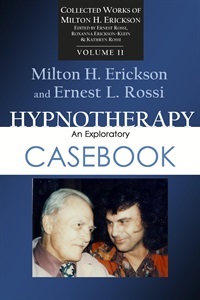 In my original Foreword to this volume I expressed the opinion that, with Milton Erickson, Ernest Rossi “has done the best job to date in clarifying Erickson’s ideas on the nature of hypnosis and hypnotic therapy, on techniques of hypnotic induction, on ways of inducing therapeutic change and of validating this change.” Many books have been written about Erickson’s approaches to therapy in the 33 years that have passed since this book was published, yet I will still stand with that opinion. 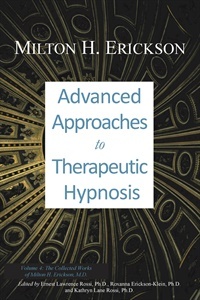 Erickson’s experimental and therapeutic explorations with the hypnotic modality span more than 50 years. 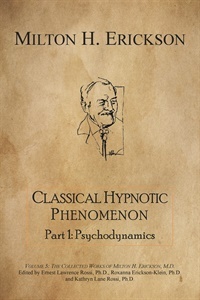 His successful rejuvenation of the entire field may be attributed to his development of the nonauthoritarian approaches to suggestion wherein subjects learn how to experience hypnotic phenomena and how to utilize their own potentials to solve problems in their own way. The contents of this volume can be best understood as working papers on a journey of discovery. There is little that is fixed, final, or permanently validated about them. Most of these papers are heuristics that can stimulate the mind of the reader and evoke the awe of discovery, which is unlimited in the realm of human consciousness. 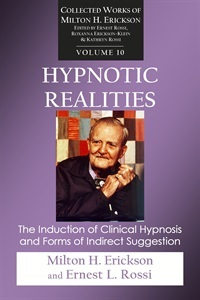 In these papers, written over a period of several decades, we see a renaissance of new approaches to hypnotherapy and a remarkable creativity in facilitating symptom relief, depth psychology, and the actualization of personal potentials. 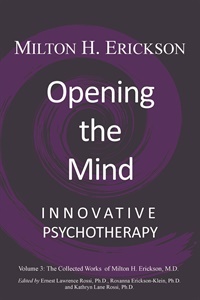 One intuits in Erickson’s innovative approaches an unusual respect and appreciation for the complexity of the human psyche. We see him as an explorer who is constantly mindful of his own limitations, while fully aware of the patient’s own potentials for self-cure and development. We see in these papers his efforts to break out of the limiting assumptions that underlay many “schools” of psychotherapy. The collected papers of the first section all demonstrate Erickson's utilization approach to a variety of psychological problems. Utilization theory emphasizes that every individual's abilities and inner resources must be accessed in order to determine how they may be evoked and utilized for therapeutic purposes. The next part illustrates a variety of Erickson's indirect approaches to symptom resolution. 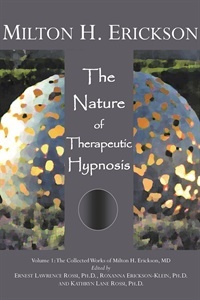 This is followed by papers on sexually related problems illustrative of the extremely wide range of approaches the hypnotherapist has available. The last section illustrates the facilitation and utilization of the patient’s own inner resources for solving personal problems. In a number of these illustrations, Erickson did not even know the nature of the problem that the patients solved within the privacy of their own trance experience. 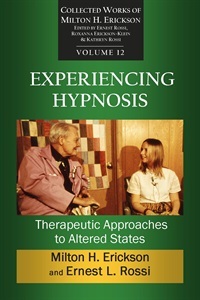 This volume contains some of Erickson’s most brilliant yet controversial papers about utilizing the patient’s classical symptoms of anxiety, confusion, and resistance in psychotherapy and therapeutic hypnosis. 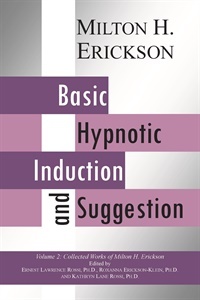 Even reading the first paper about Erickson’s “confusion technique in hypnosis” tends to make some readers confused about how this pioneering work is supposed to operate. What are the basic principles of working with the patient’s conflicts, confusion and resistance? Like many pioneers, Erickson tried to explain his thinking as he reported his actual experiences with patients, but one looks in vain for a clear protocol that students can follow to repeat his therapeutic success. The patient’s urgent needs and Erickson’s highly original approaches interact to generate complex therapeutic responses that always seem to be one-of-a-kind situations that defy scientific analysis. This volume illustrates how classical psychosomatic medicine becomes psychosocial genomics just as surely as the 21st century becomes the 22nd. This is an example of how science is self-correcting and continually evolving. 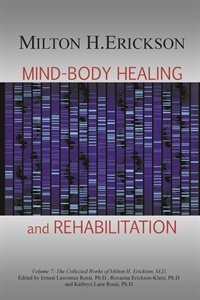 Erickson's Collected Works is updated with current concepts of neuroscience, psychosocial genomics, and bioinformatics for students, clinicians, and researchers who wish to extend his innovative therapeutic approaches into the future. 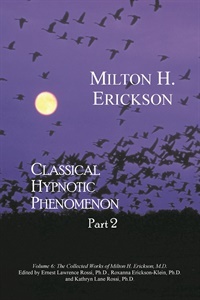 Erickson mediated the transition between classical hypnosis as a curious alchemy of abnormal states of mental dissociation and suggestion to a new form of psychotherapy when he began publishing his early studies of psychosomatic phenomena in the 1930s.